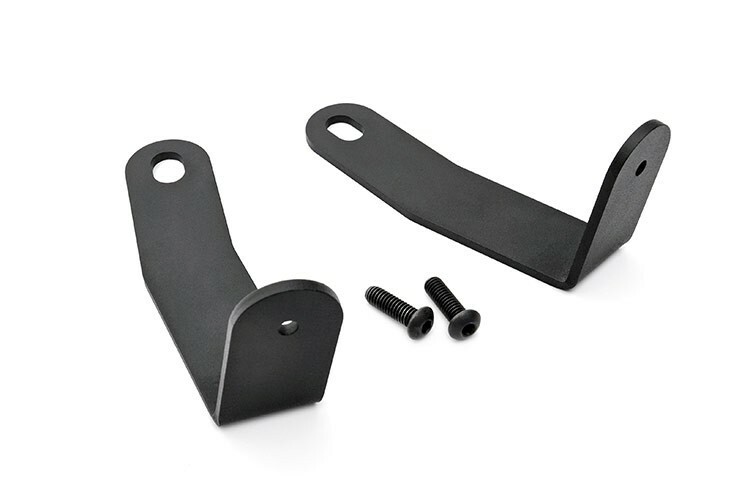 This easy-to-install, durable Light Bar Bracket attaches to any common light bar bumper attachment. In addition to jaw-dropping good looks, this Bumper Light Bar Attachment puts your 20-inch LED Light in the perfect spot for lining up approach angles after dark. Fits any standard 20-inch Off-Road LED Light. Compatible with Rough Country TJ/YJ Bumper Light Bar (#1014).